As ever, I’ve got stuck into one project and distracted by another. 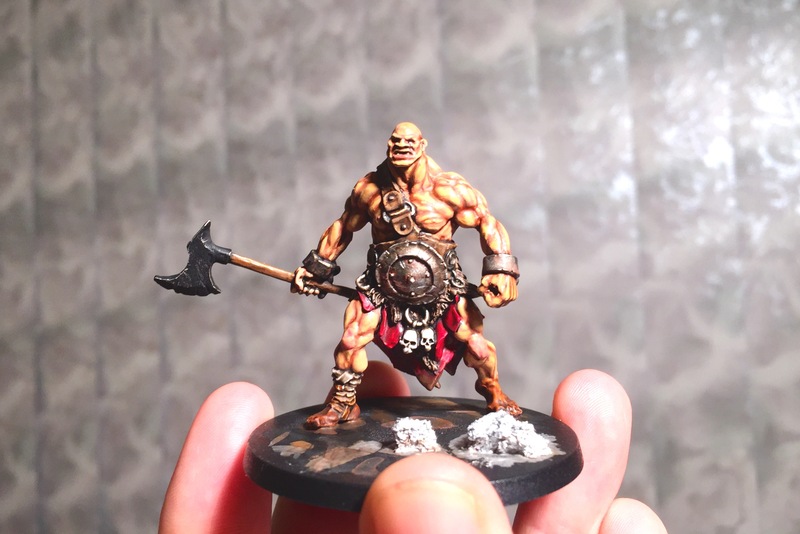 I’ve been working on mostly 15mm for about 3 years, and my whole painting style has changed. I definitely used to be a better, if less consistent, painter. So I’ve decided to work on some 28mm again, with the emphasis on going slow and detailed. This big un’s the beginning of a small, chaos wastes-style warband I’ll be putting together using Red Box Games’ Helsvakt. Just a little bit more detailing (and the axe head) to do now then basing once their all done. I wanted him gritty and realistic, hence the dirty feet and loincloth. More to come, eventually, and hopefully a Moongrunt update this weekend.